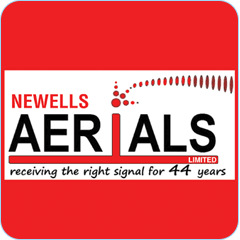 Newells Aerials Ltd are Leeds oldest established digital TV aerial installation and repair specialists for both commercial & domestic in Leeds. Specialising in the supply and installation of satellite, digital TV aerial installations, television aerial installers, communal aerial installers, FreeSat installations, I.R.S systems, digital aerials for both business and commercial customers in Leeds. Our work carries a 12 month guarantee on all parts and labour and we also work on a same day service if required. Our Leeds engineers are highly trained in all aspects of satellite and digital TV aerial repairs and installation, from a simple single digital aerial to a full digital TV Distribution system, we have the knowledge and the expertise. Satellite installation is another area we excel, with Sky, FreeSat installations with Sky Multiroom and Free Sat distribution you will be able to watch all your favourite programs in any room. We provide and are installers of DAB, FM aerials and install both I.R.S. Systems, Communal Aerial and SMATV Systems in Leeds and its surrounding areas.